Create a legally binding Montana Bill of Sale with our attorney-drafted template! What Is a Montana Bill of Sale? A Montana bill of sale is a document that is used to show when the legal ownership of an item goes from one person (the seller) to another person (the buyer). A bill of sale is proof of ownership in Montana. Some types of Montana bill of sale need to be notarized. What Are Some Common Bills of Sale Used in Montana? Some of the most common bills of sale used in Montana include a general bill of sale, a bill of sale for a motor vehicle, a bill of sale for a boat, and a bill of sale for a gun. How Do I Write a Montana Bill of Sale? Writing a Montana bill of sale requires information about the buyer and the seller, information about the item, information about the price or terms of the sale, and it should be dated and signed. However, remember that some bills of sale, such as the Montana bill of sale for motor vehicles must be notarized). The differences between the most commonly used bills of sale are found in how the item is described. First, you'll learn the information you need in any Montana bill of sale. Then, you'll read about how to describe the items for the most common used types. A Montana bill of sale must have the date it was created. Additionally, if the buyer will pay for the item on a date that is different from the bill of sale, that date should be included in the area where terms of the sale and payment are discussed. 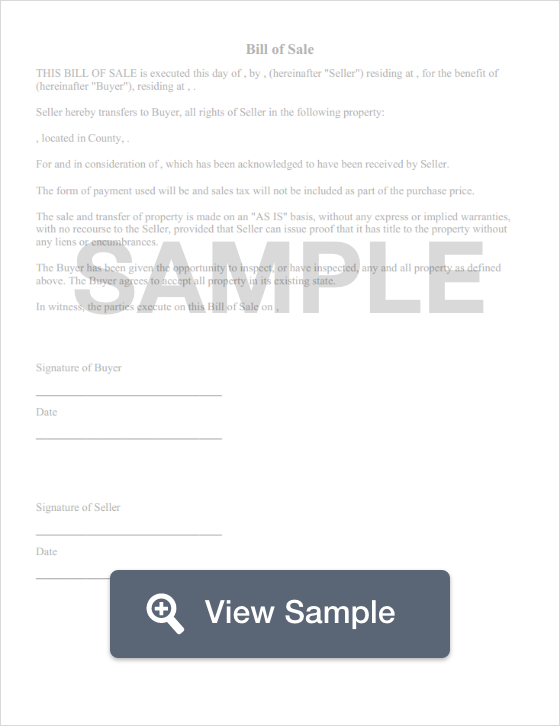 When the buyer and seller sign the completed document, it should be dated. However, don't sign or date it until you're in front of a notary if the document requires notarization. A Montana bill of sale should list the terms of the sale. This could include when the buyer will pay for the item in full, if payments will be made, if the item is being given as a gift, or if the item is being traded for another item. If the exchange includes a trade, the item being traded should be described. For items being purchased with money, you should list the price in words and then in numbers. For example, four-hundred and thirty dollars and no cents ($430.00). A Montana bill of sale should a seller's disclosure. In the seller's disclosure, you are certifying that have you the legal right to sell the item. You're also certifying that the information about the item is true to the best of your knowledge. You should also inform the buyer in this section if the item has a defect that you know about. Defects can be minor, such as a crack in the wood of a bookcase, or they can be serious, such as a vehicle that doesn't run and is only being sold for parts. Remember, a Montana bill of sale should be signed and dated by both the buyer and the seller. However, you should ensure that this process is performed in front of a notary for certain types of the document. Finally, both the buyer and the seller should keep several copies of the completed bill of sale for their records. A Montana general bill of sale is used for items like used appliances, used electronics, a bicycle, jewelry, or furniture. 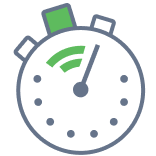 When you're preparing to describe the item, first check it for a registration number, serial number, or make and model. If the item has that sort of descriptor, it should be included in the general bill of sale. You can also describe the item based on its color, what the item is (such as a stove, bicycle, or diamond earrings), its size, or unique characteristics (such as a laptop with a terabyte drive). A Montana general bill of sale does not need to be notarized. Montana Department of Justice, Motor Vehicle Division provides a bill of sale form that must be completed when a vehicle is sold. The form must be completed even if you draft a bill of sale on your own. The vehicle is described by year, make, model, style, VIN, and license plate number. If the vehicle is for parts only or a salvage vehicle, that must be expressed in the bill of sale. It must also include an odometer reading. The Montana bill of sale for a motor vehicle must be notarized. The Montana Department of Justice, Motor Vehicle Division requires that you complete their bill of sale form if you're selling a boat. The boat is described by year, make, model, style, and Hull ID number. The form should be notarized. A Montana bill of sale for a gun is for personal records only. For the gun being sold, and for any gun being traded, you should include the make, model, caliber, and serial number. The bill of sale does not need to be notarized. It is wise to keep several copies of the executed bill of sale for your personal records. Is a Montana Bill of Sale Required to Register a Motor Vehicle? Yes, you are required to have a Montana bill of sale to register a motor vehicle. In fact, the State of Montana requires you to use their bill of sale. It must be notarized. You'll also need the vehicle's title or, if you've moved from another state, the registration certificate from that state. You'll need proof of insurance as well. You should also be prepared to pay the associated registration fees. Is a Montana Bill of Sale Required to Register a Boat? Yes, you are required to have a Montana bill of sale to register a boat. Montana's Department of Justice, Motor Vehicle Division requires you to use their specific bill of sale for the registration process. You may also need the title, previous registration, or a certificate of origin. You should be prepared to pay your fees at the time you register the boat. Is a Montana Bill of Sale Required to Register a Gun? No, a Montana bill of sale is not required to register a gun. Montana does not legally require guns to be registered. Create a free Montana Bill of Sale in minutes with our professional document builder.